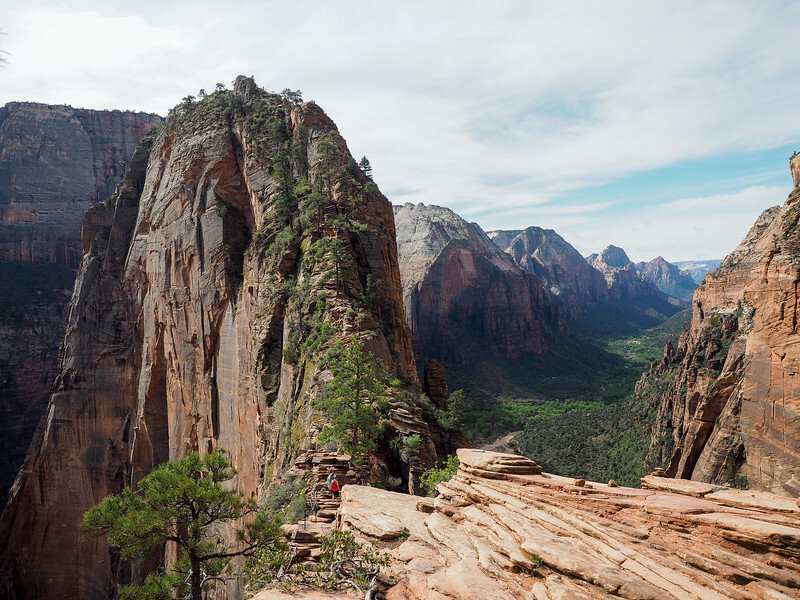 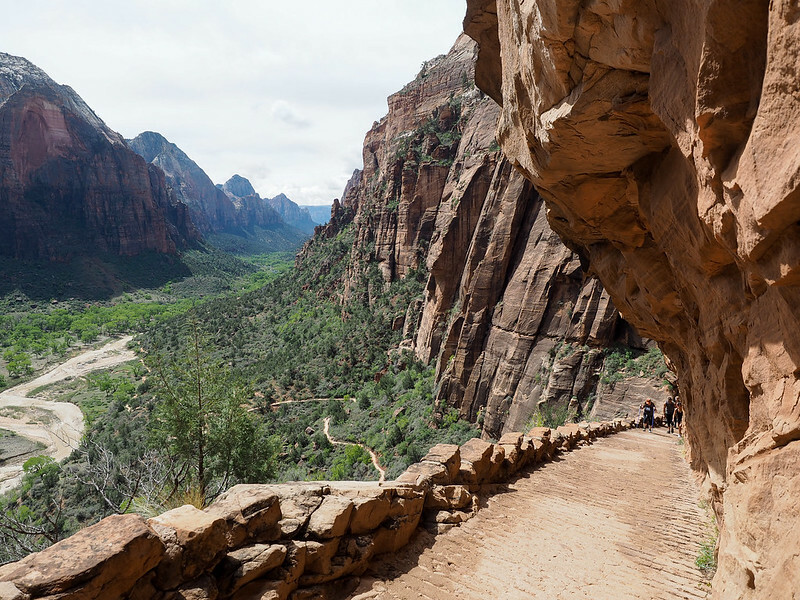 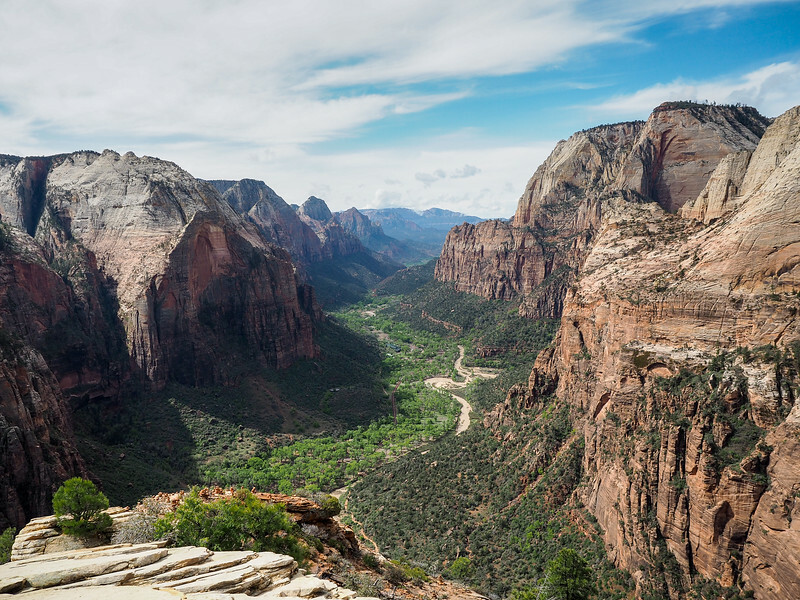 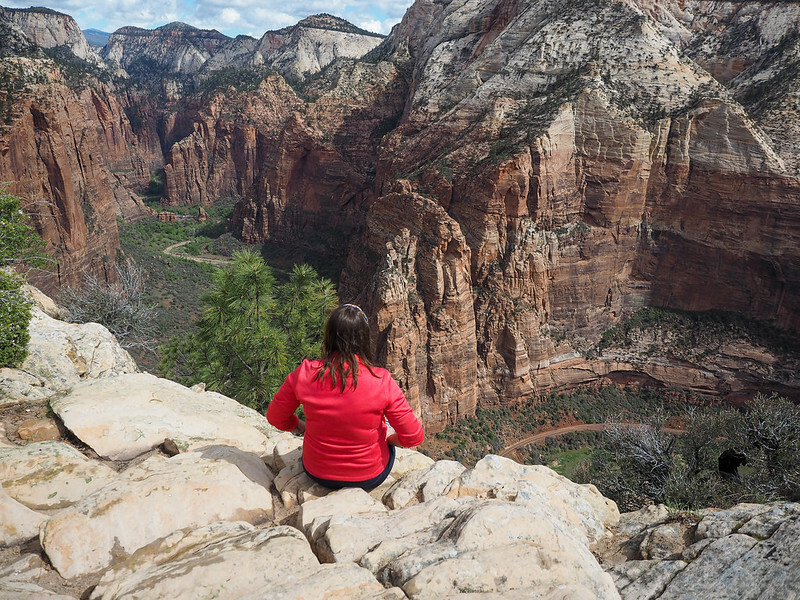 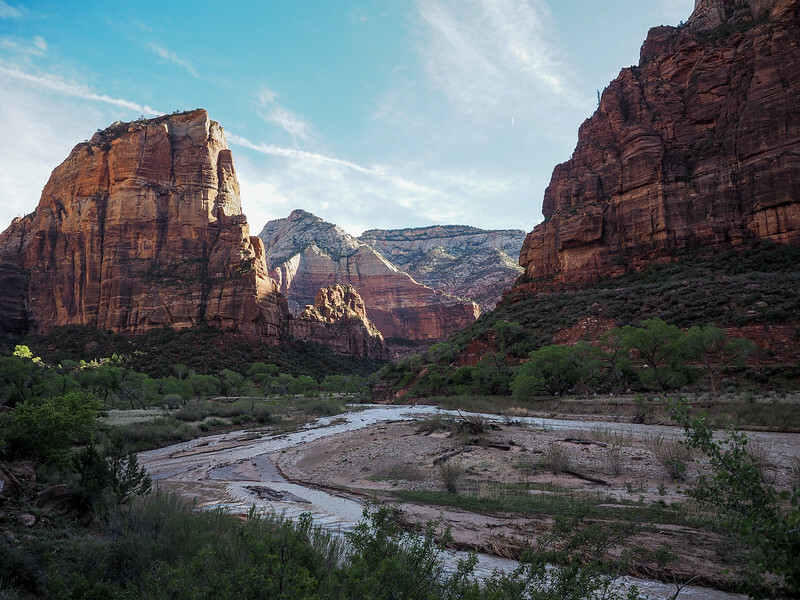 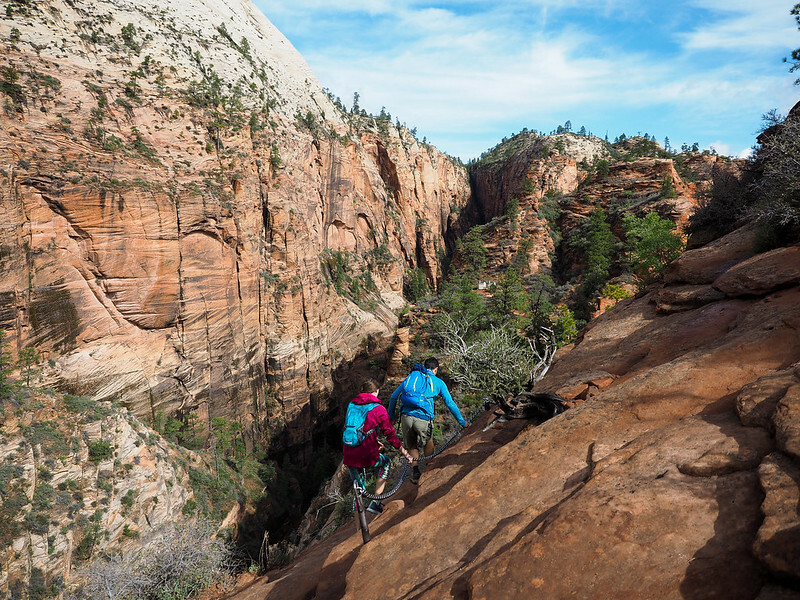 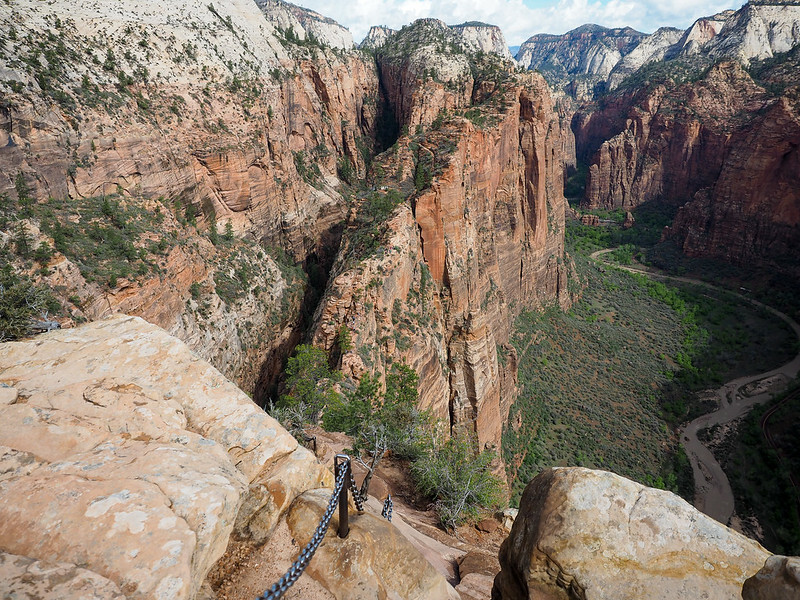 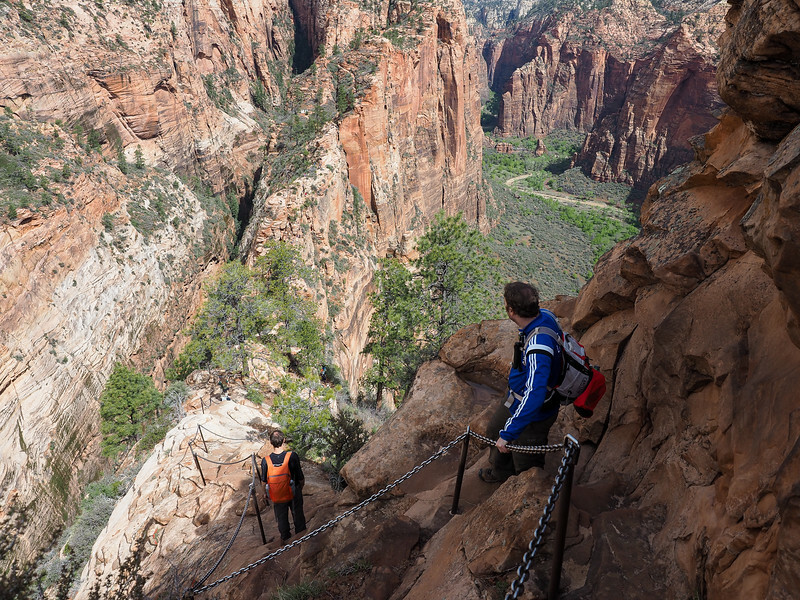 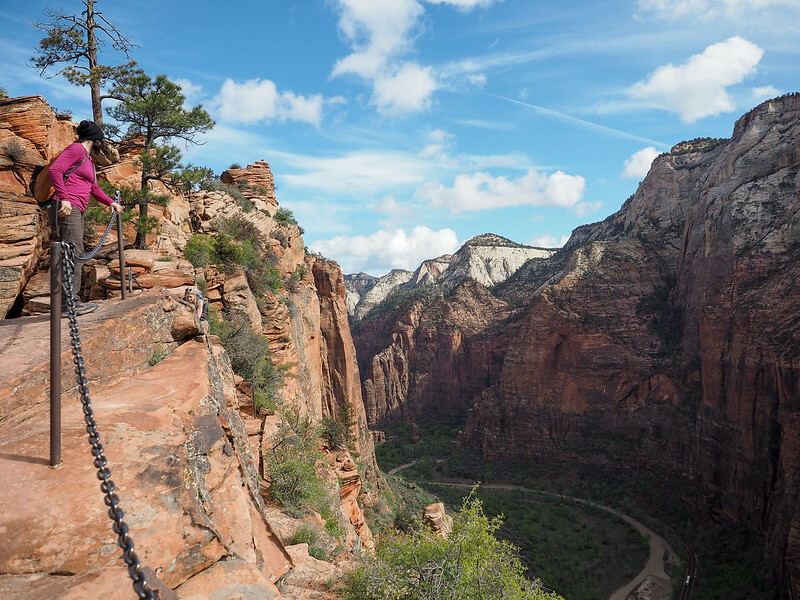 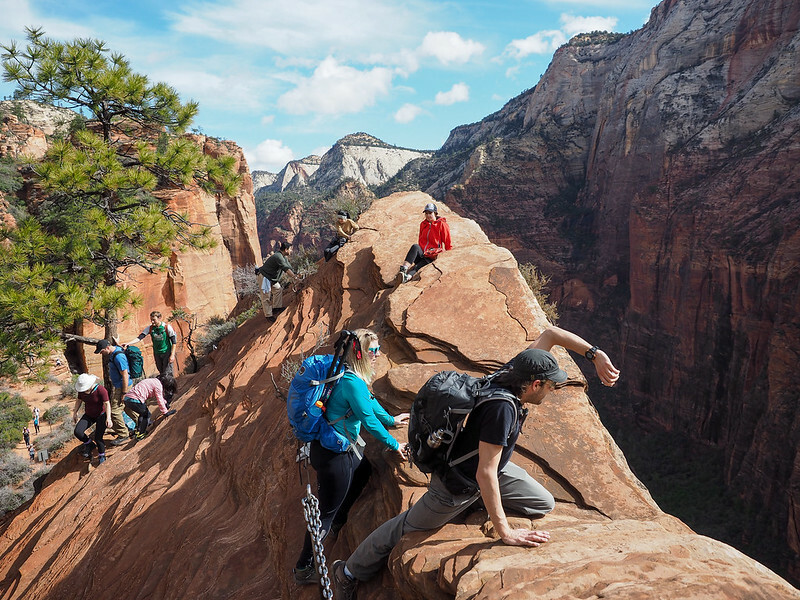 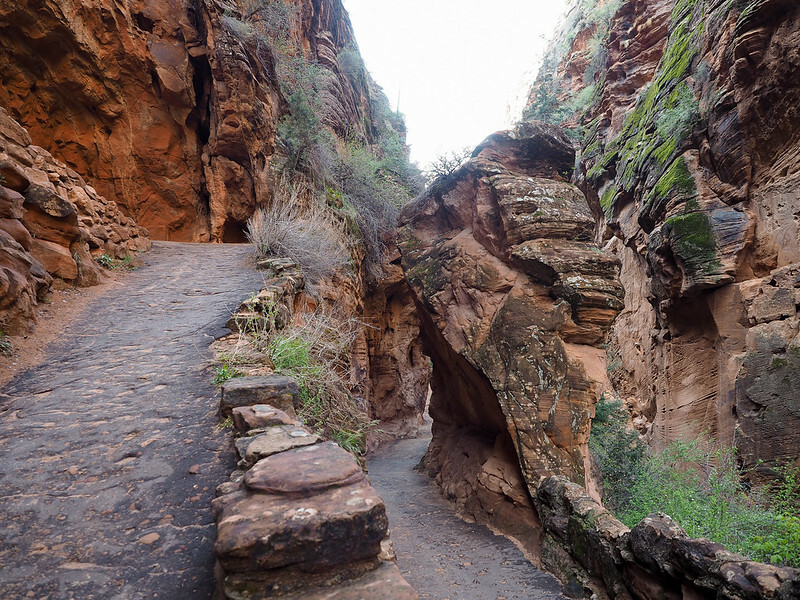 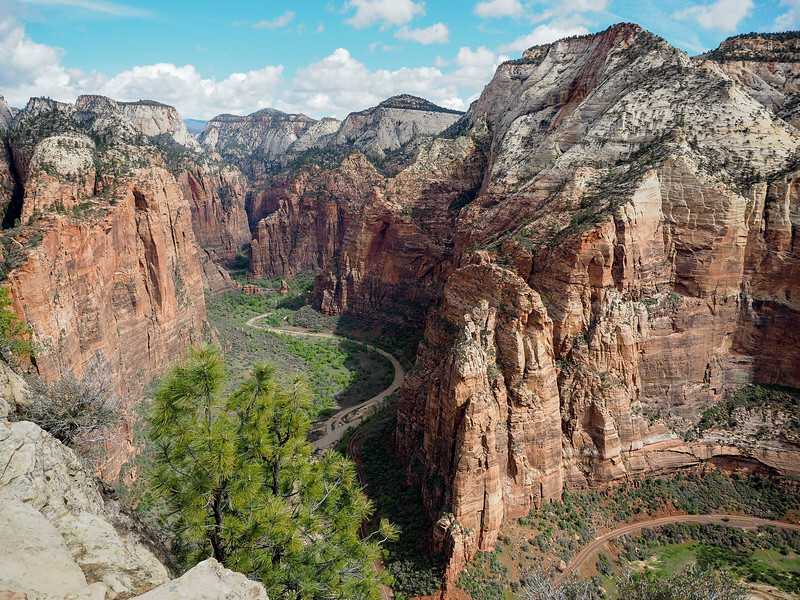 Hiking the Angels Landing Trail in Zion National Park: What's It Like? 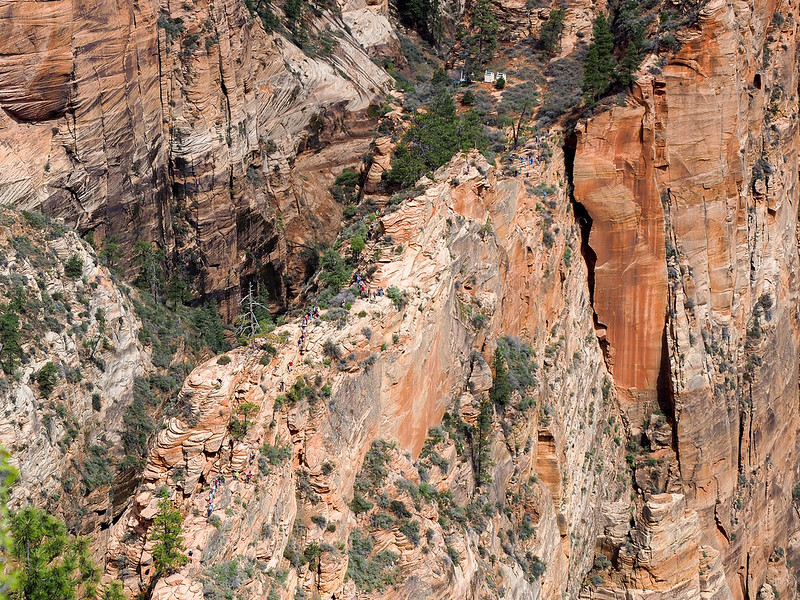 Bring enough water. 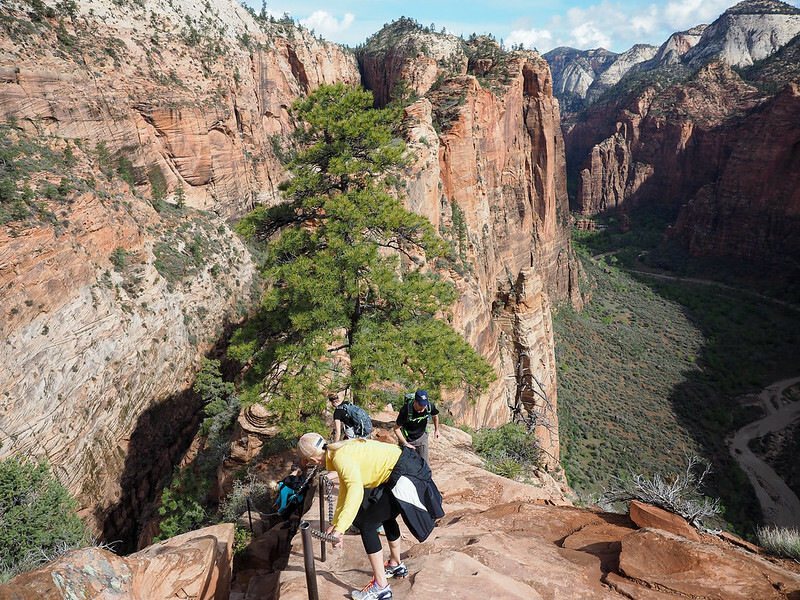 This is a tough half-day hike – make sure you have enough water! 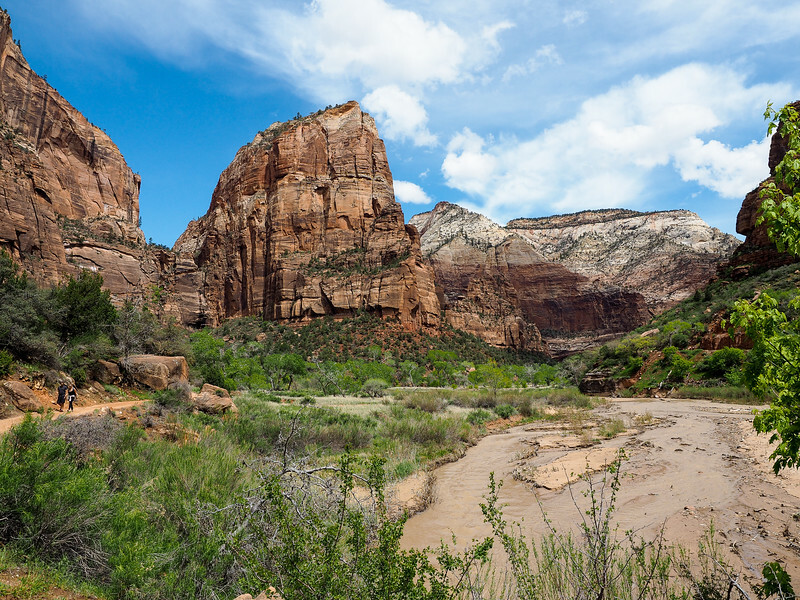 Even if it's not particularly hot out, you WILL need to drink a lot. 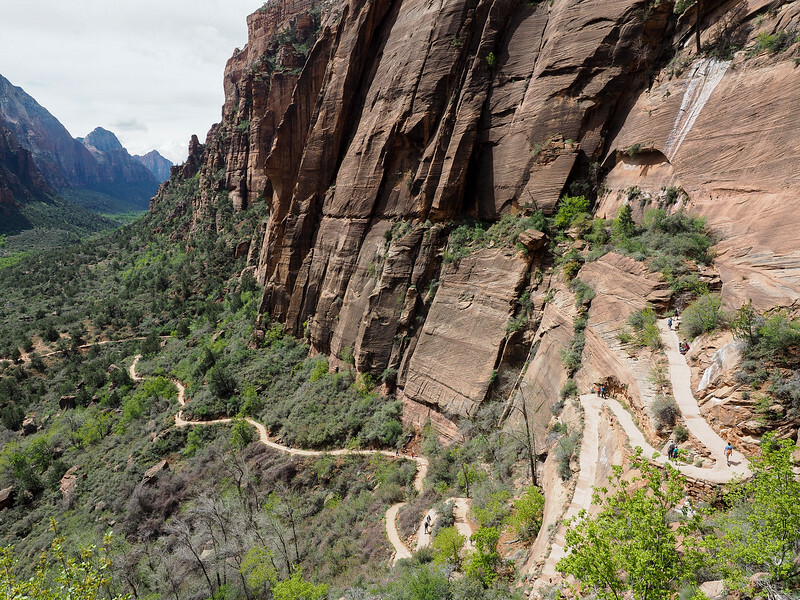 Be sure to fill up for free at the visitor's center before you hop a shuttle out to The Grotto, and to drink frequently. 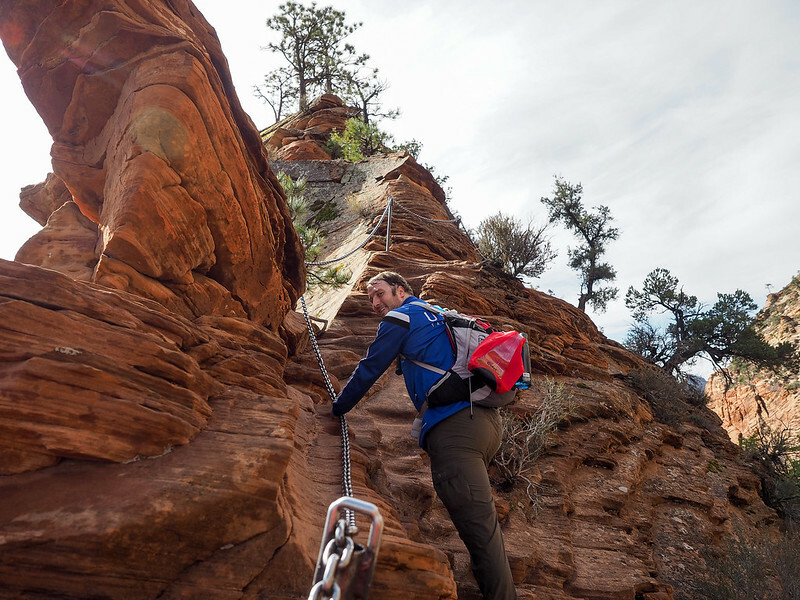 I recommend getting a daypack with at a built-in reservoir rather than carrying just one water bottle – way easier to drink as you climb! 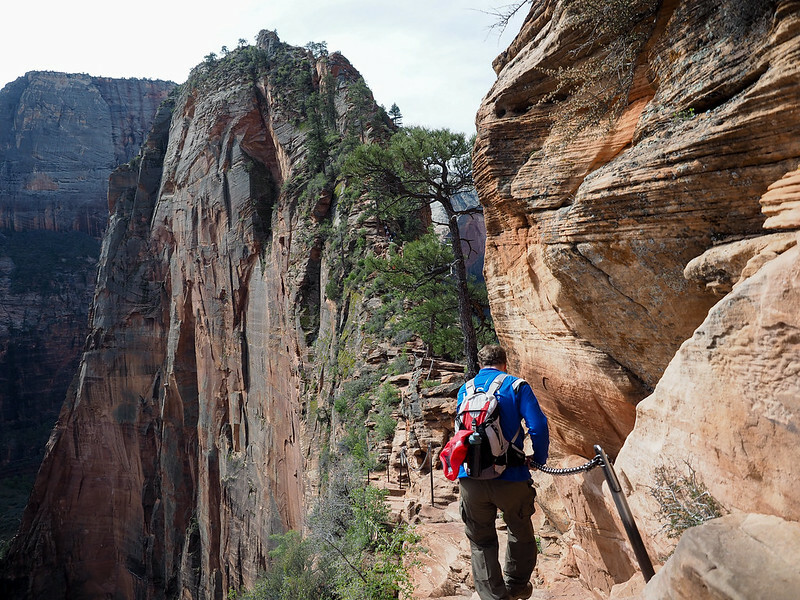 I like the CamelBak Aurora (70 oz), the CamelBak Aventura (100 oz), and the Osprey Raven (100 oz). 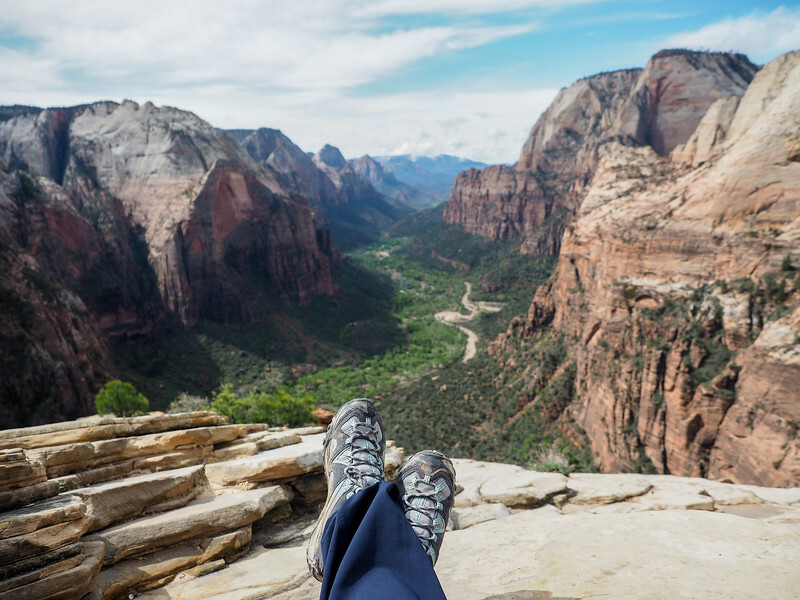 Wear good shoes. 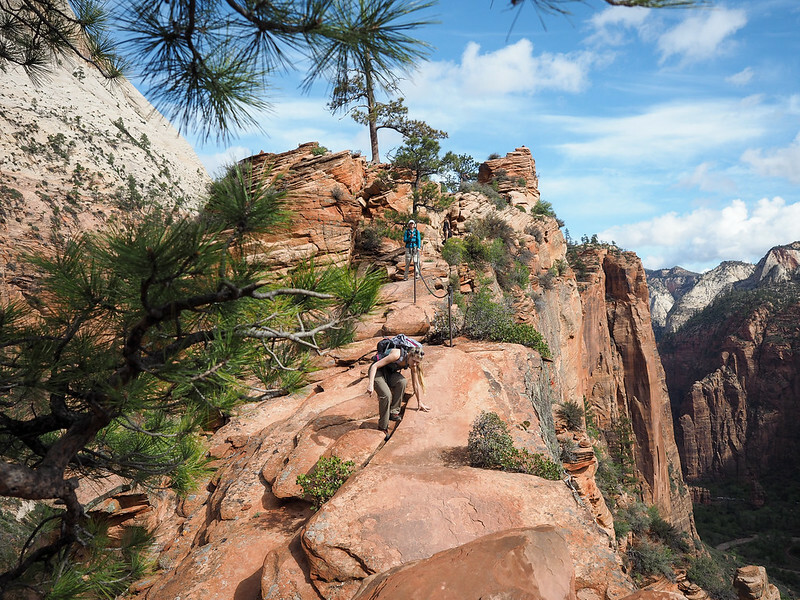 For this hike, you really do need proper footwear. 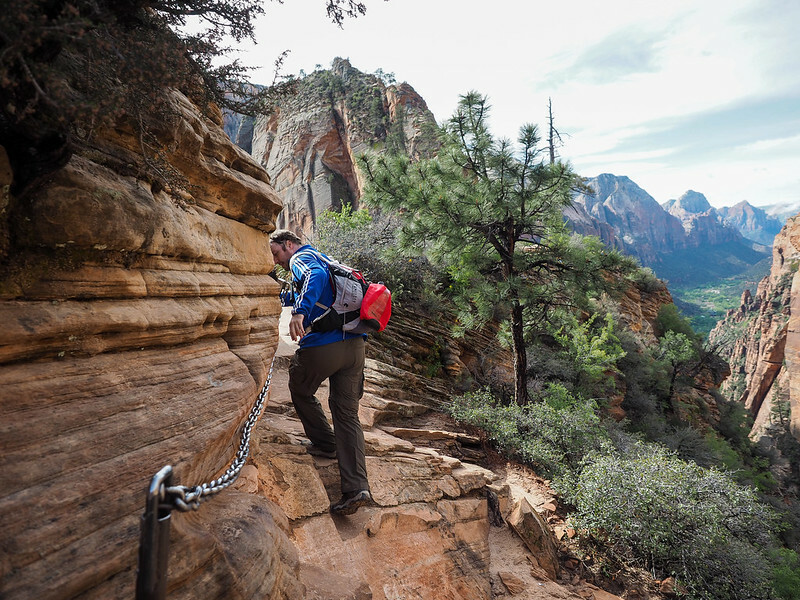 And I don’t just mean your favorite pair of hot pink Vans – you need hiking boots. 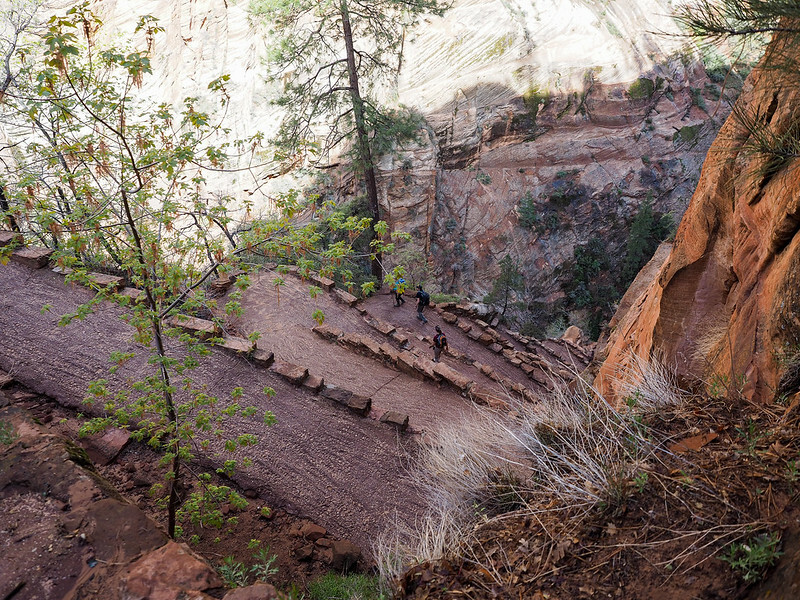 I saw people with Converse and Sketchers on the Angels Landing trail, and they were slipping and sliding all over the place. 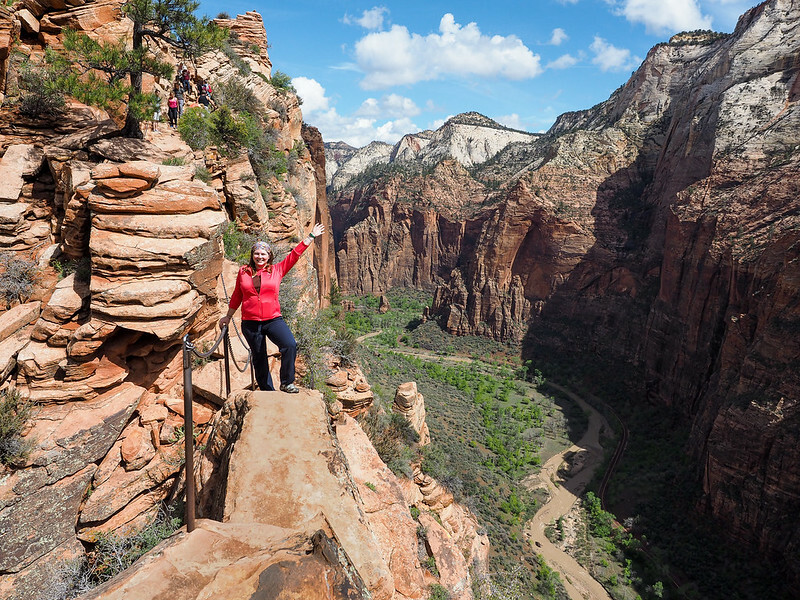 I love my Merrell Moab hiking boots – I only slipped once with them on the trail! 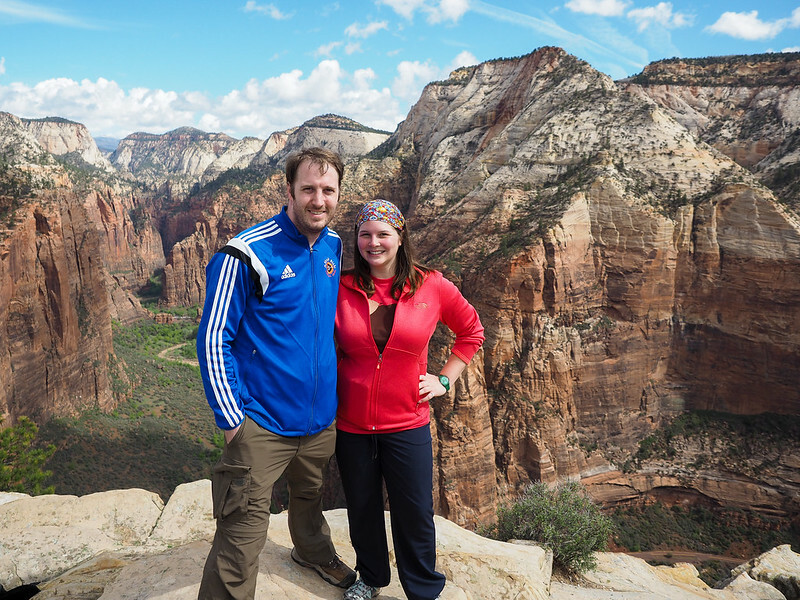 Major props to you, Amanda!